A green roof reduces the cost of our environmental footprint and benefits biodiversity, they also reduce the price we pay on heating and cooling our homes. 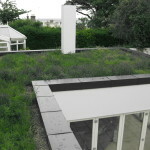 Rainwater Attenuation – A green roof will reduce the amount and rate of run-off of rainwater – with less water going into the storm water system. 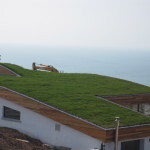 Our Green Roofs also meets SuDS requirements. Extends the life of the underlying waterproof membrane. 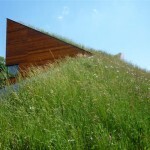 A Green Roof will “soften” the impact of the structure in the urban environment. Enhances heat protection and saves valuable heating energy by minimizing temperature fluctuations within the roof and provides cooling in the Summer. Improves roof noise attenuation by up to 8dB in the interior. 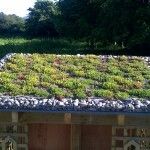 Suitable for use with a lightweight green roof substrate.